No matter how old you are, it is important that you understand how to manage your finances and help grow your wealth. If you haven’t officially retired and think that you want to stop working in the near future, it is critical that you make decisions that help you today while also providing for your needs later on. JEHM Wealth & Retirement asks what specific steps can you take to help secure your financial future as you get older? You are allowed to contribute up to $18,000 to a 401k, and your employer may contribute up to 20 or 25 percent of your wages depending on how the company is structured. If you are over the age of 50, you can contribute another $6,000 to your 401k. This is in addition to the $6,000 that those over the age of 50 can contribute to an IRA. If you are over the age of 45, it may be a good idea to start transitioning from growth funds to bonds and index funds. While the returns may not be as great, index funds generally return a consistent 7 percent per year while government bonds return at least 2 percent a year. Dividend stocks and bonds are also preferable as you get older as the dividend payments provide a consistent monthly income when you stop working. It may be in your best interest to buy an investment property or two that can generate income for as long as you live. When done correctly, you benefit twice because the property will appreciate in value while you also get a monthly rent check. Other tangible assets worth investing in include gold, silver and coins. If you want to get the most from your retirement savings, you should make a point of reducing your debt load before retirement. This may mean selling your home and moving into a condo or retirement community or choosing to take the bus instead of making a car payment. Reducing debt may allow you to spend more money traveling the world or otherwise living life your way after you stop working. Health care costs are expected to rise significantly over the next several years. This means that you should look into a long-term care policy as well as a life insurance policy to cover any other unexpected expenses that may come up. Life insurance policies may help your spouse pay off a marital home or pay for your funeral if you pass suddenly. Retirement is a milestone that some look forward to from the day that they start working. With good planning and fiscal discipline, you can ensure that you retire on your terms and live the rest of your life on your terms as well. 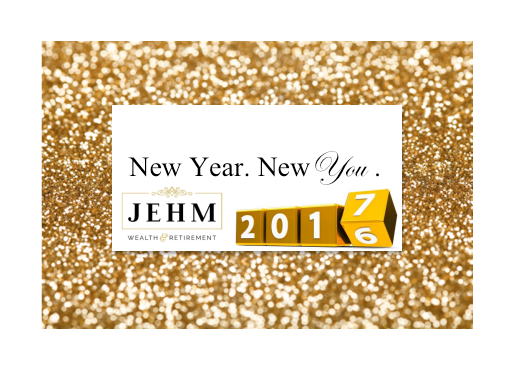 JEHM Wealth & Retirement offers guidance as you near or navigate through your retirement.